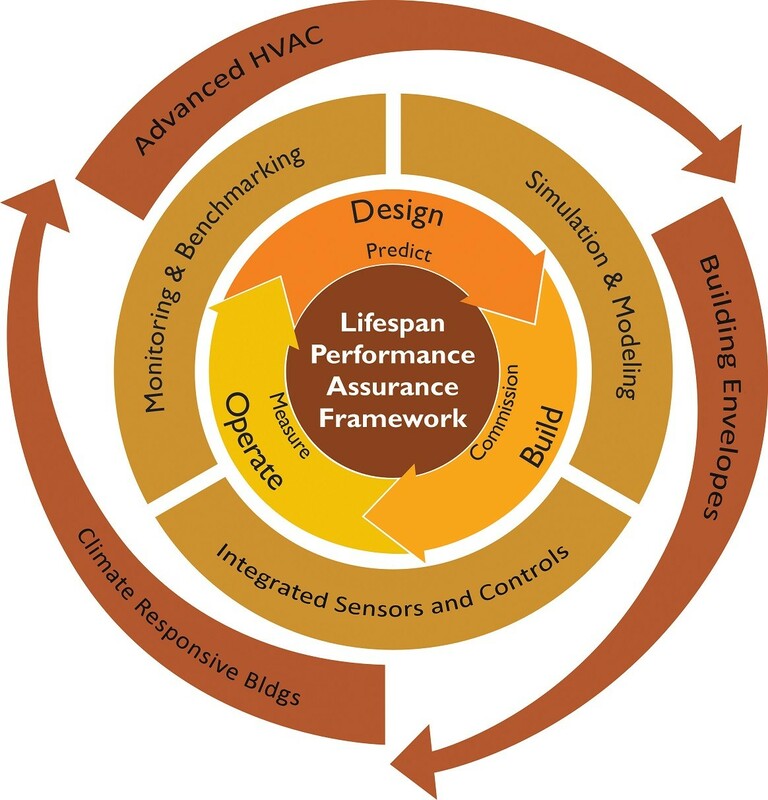 CBERD is conducting analyses of how buildings in India and the U.S. use energy through a Lifecycle Performance Assurance Framework (LPAF) that supports building system integration throughout the building’s design, construction, and operation. This departure from the conventional, fragmented approach will enable a whole-building, integrated view and simultaneously assure high performance, both in terms of energy efficiency and comfort/service levels. the next generation of building design and operation. 2. Building Physical Systems, with a cross-cutting focus on triple bottom line cost of energy efficiency technologies. The LPAF for integrated systems has the benefits of getting us closer to our performance targets and increasing the likelihood that the simulated results can be achieved in the real world: towards better design, building, and operations of high-performance buildings.